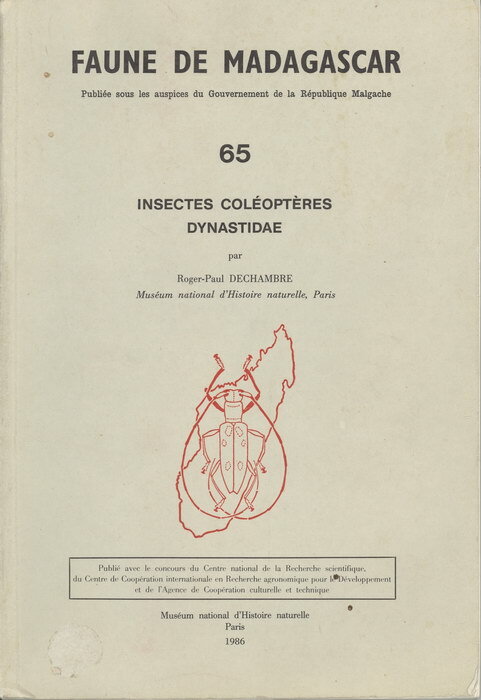 This issue, number 65 from the series "Faune de Madagascar", covers the rhinoceros beetles (subfamily Dynastinae) of Madagascar. It is illustrated with 280 black-and-white figures, including drawings, maps, and photographs. 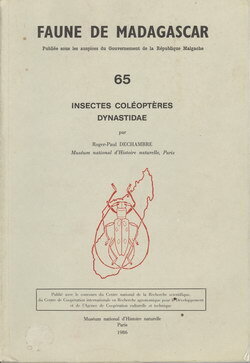 Printed by Imprimerie Némont, Bar-sur-Aube, France.